Decorating a space in your home can be challenging. Where do you begin? How do you make everything look good together? Our Designer, Danielle Matthies, has let us in on her creative process and how to use mood boards to help pull it all together. 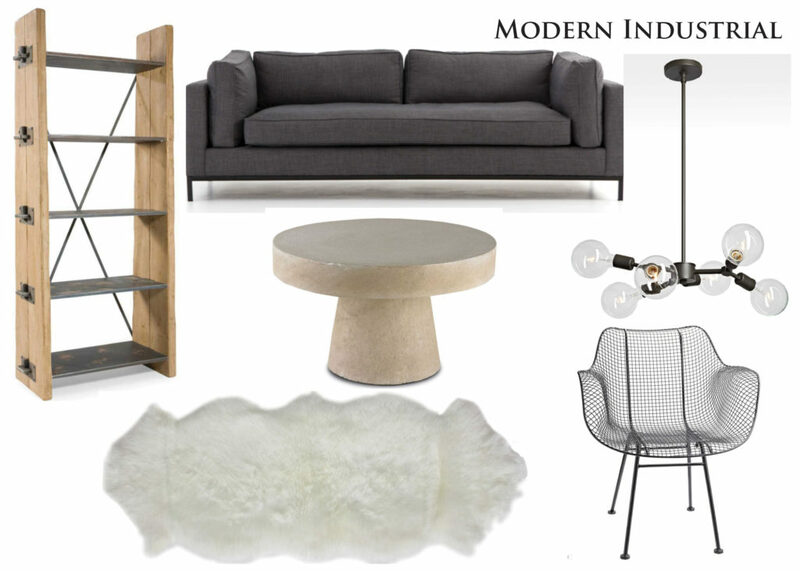 To help inspire you, we’ve put together three different mood boards for an industrial styled space. 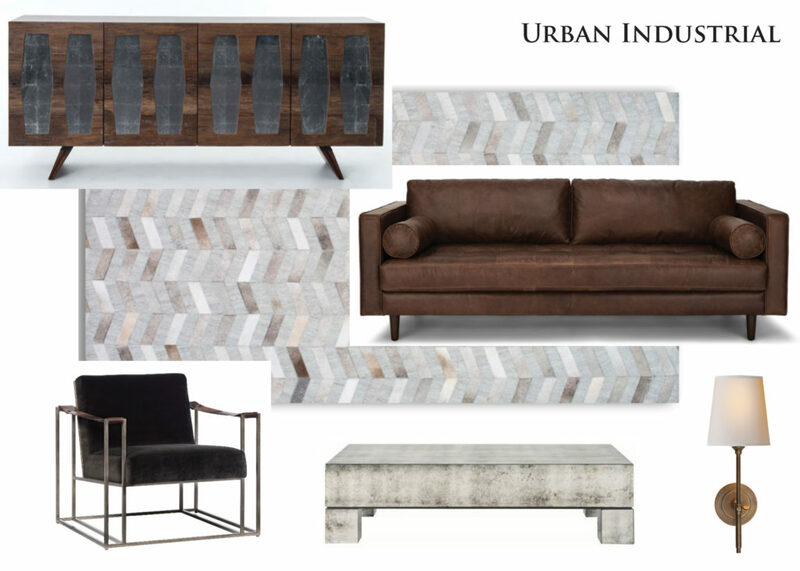 Each mood board takes a twist on industrial with features leaning more toward urban, modern, or rustic industrial. The most common way to start designing a space is to start with the big things. By BIG, we don’t just mean size, but also price. Find that staple piece for your space that you can build around. You may already own it or may be in search of it. This is typically going to be your sofa/sectional, media console, table, etc. 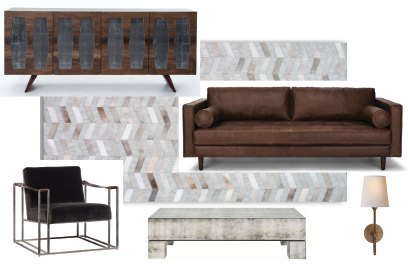 On our mood boards, we started with selecting the sofas. You can see that each sofa has a different look even though they are all “industrial”. Once you have the big things selected, it is time to start pulling together the rest of the space. 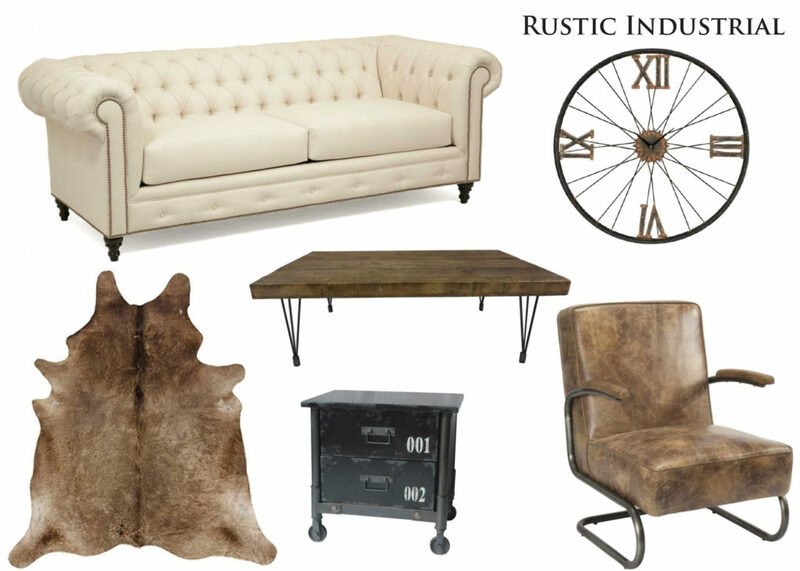 Look for accent furniture pieces like chairs, coffee tables, end tables, rugs and curtains. Collage photos of any inspiration pieces you find to help slowly bring everything together. Once you’ve collected staple piece and accents, it is time to put the finishing touches on the space. This would be where you look into hardware, paint and lighting. Hardware has multiple finishes you can determine based on the rest of your furniture. Lighting gives you a lot of freedom to play with different looks depending on how subtle or bold you want your fixture to be. Paint is also a great way to liven up the space. See Danielle’s go-to neutral paint colors HERE. If you are looking to freshen up a space in your home or moving into a new home, start by making a mood board to help visualize everything together. You may have an amazing headboard that you want to use in a guest room, or perhaps you have an incredible light fixture you want to showcase. Start with those pieces and work from there. Remember these mood boards are just one example for one particular style. Depending on the space, mood boards can start at different points. We’d love to hear what you think – Which of these three mood boards is your favorite?